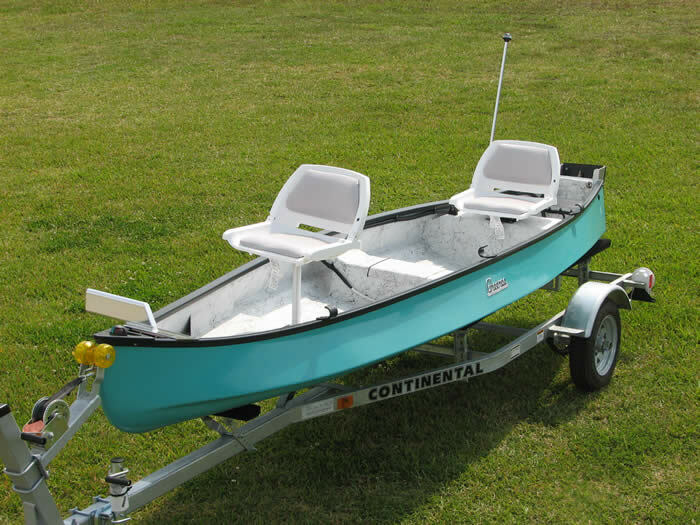 The 15'4 offers plenty of fishing room with a weight that will still make it a car top wonder! 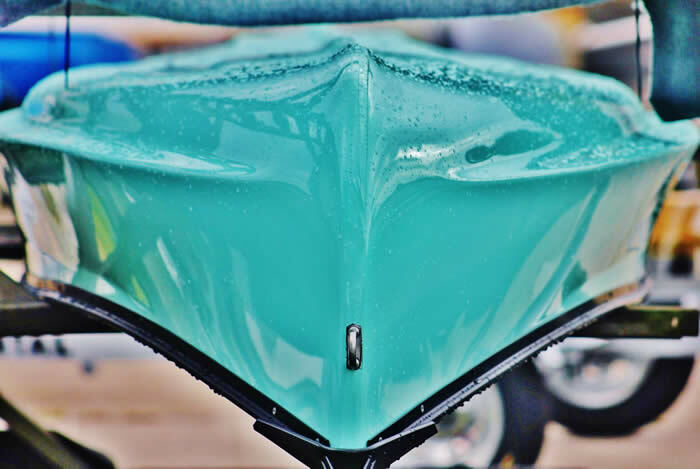 Sleek and streamlined, the 15'4 paddles effortlessly or flat out cruises with a simple trolling motor or small outboard motor. 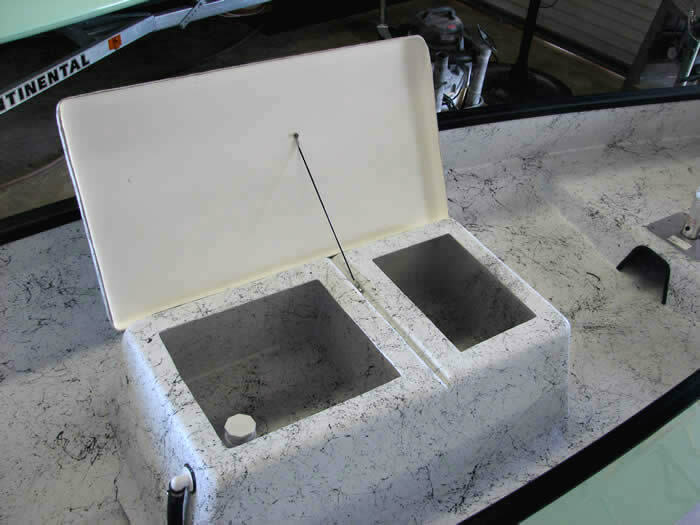 There is plenty of room for hunting or camping gear. 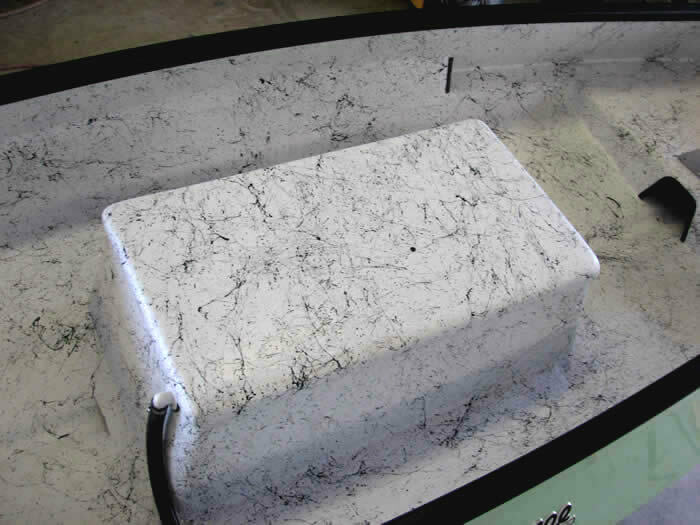 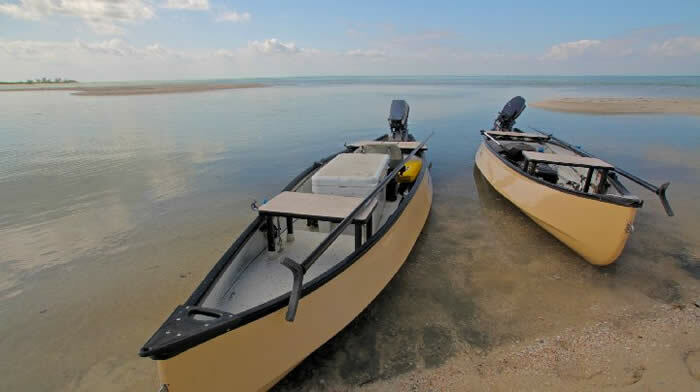 Along with the options of camo color, you can sneak up on just about anything with a boat that will float fully loaded in 3 to 5 inches of water. 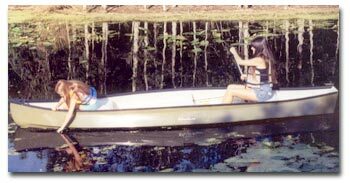 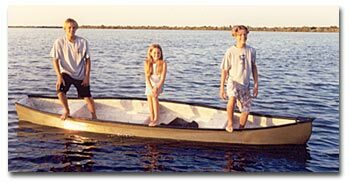 By: Gheen Manufacturing Co., Inc.
(it has the highest capacity rating because it's considered a "canoe"
many small boats can you do this in?! 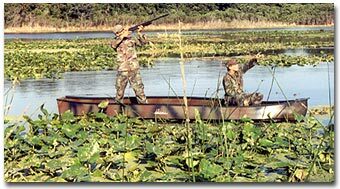 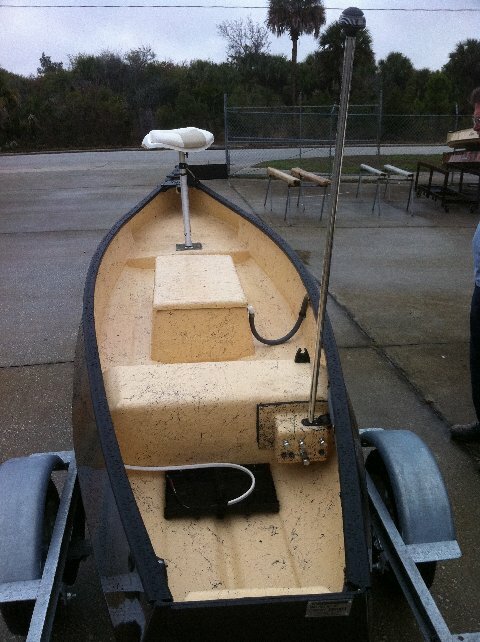 you have the perfect hunting boat.